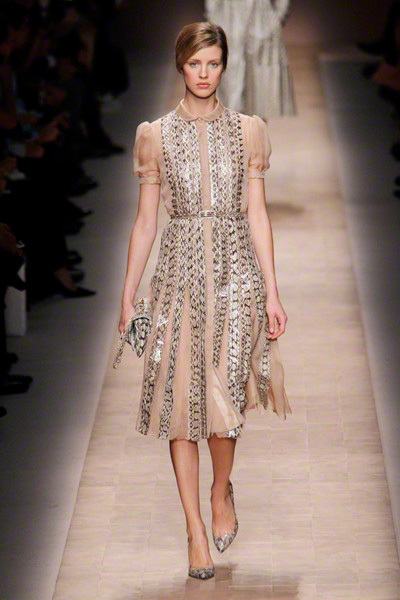 There was nothing unexpected or surprising at Valentino. 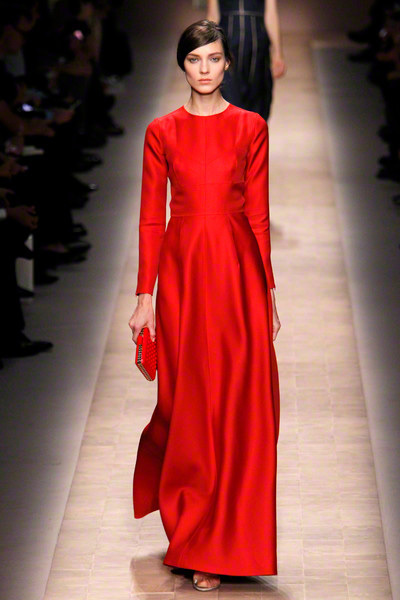 Yet you can ask yourself the question if a label that produces such beautiful garments, really needs change. 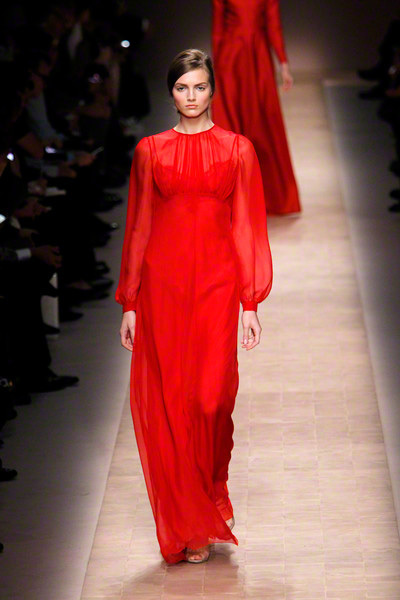 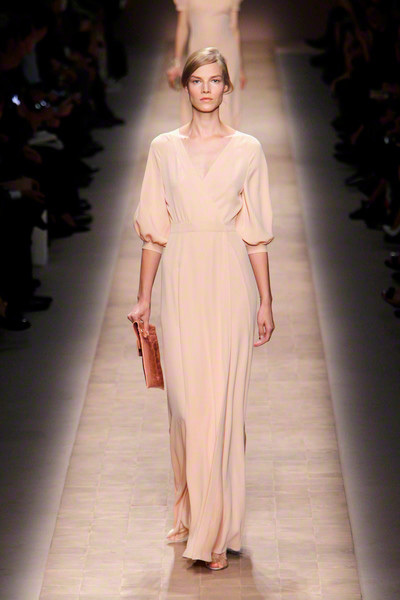 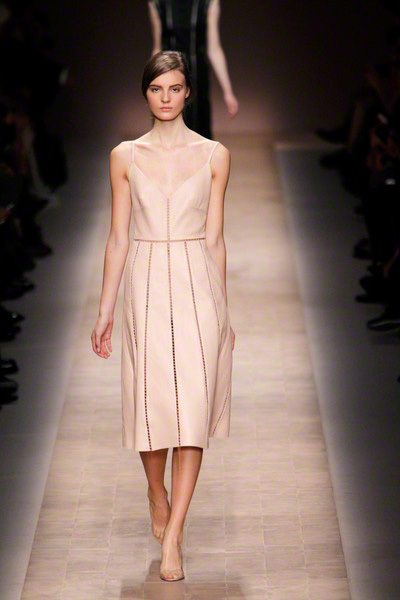 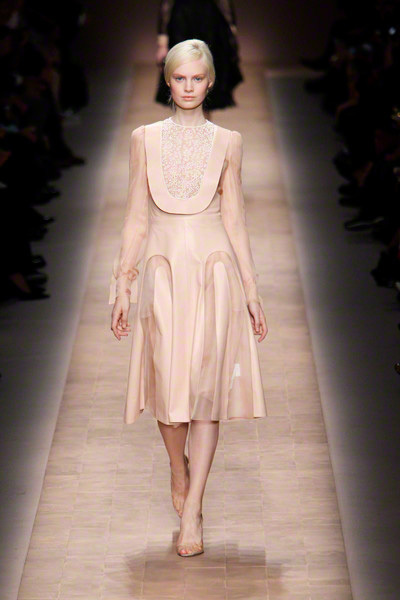 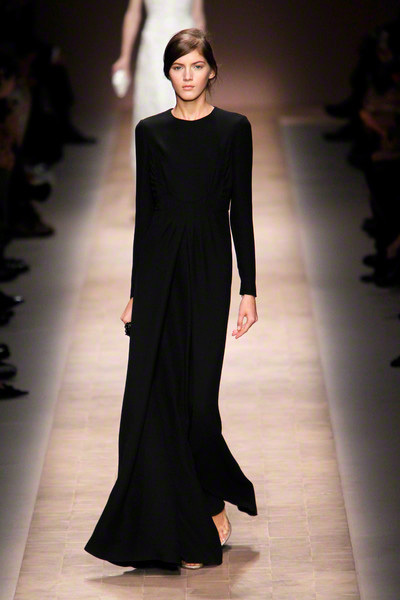 In the familiar color palette of nudes, blacks and – of course – Valentino reds models worked a large series of new dresses. 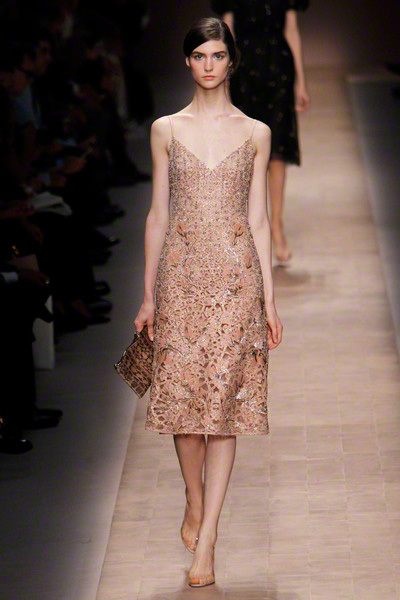 Slip dresses with a touch of leather, cocktail dresses done in lace, floral printed Sunday brunch dresses and puffy sleeved sheer evening dresses. 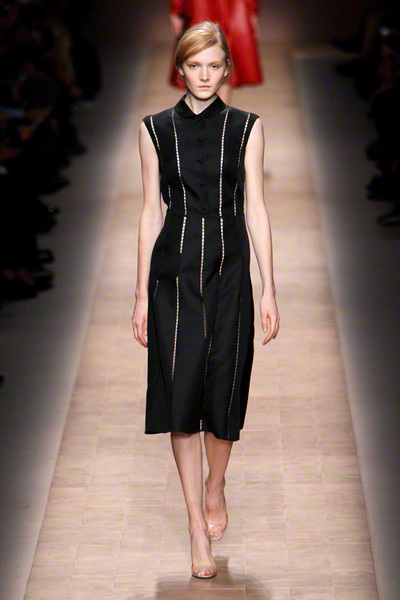 Designers Chiuri and Piccioli were inspired by their city, Rome, and the work of photographer Arturo Ghergo in particular. 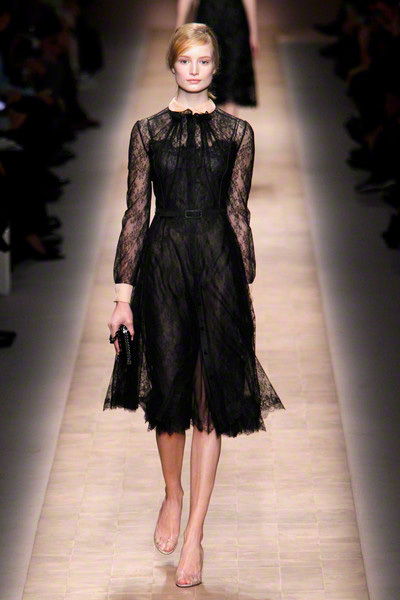 Nothing too literal though; they mainly focused on his way of capturing a woman’s beauty. 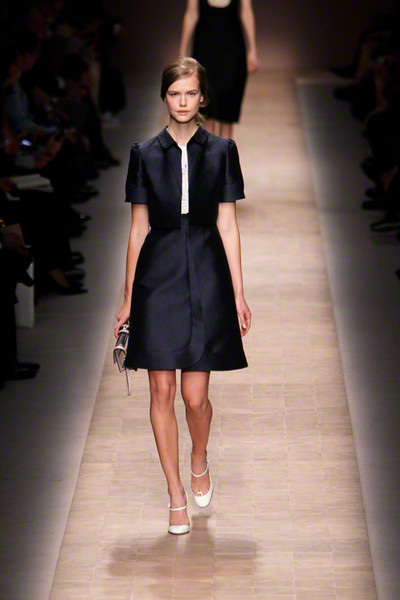 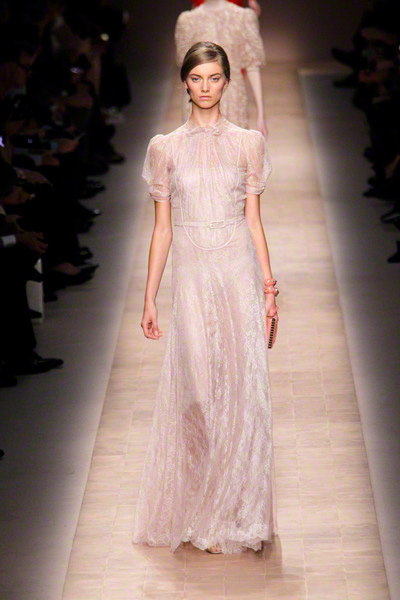 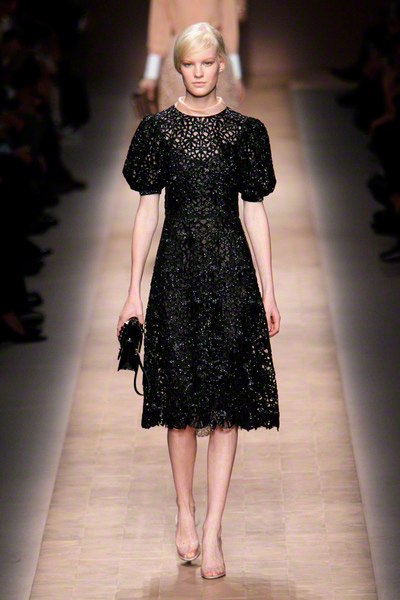 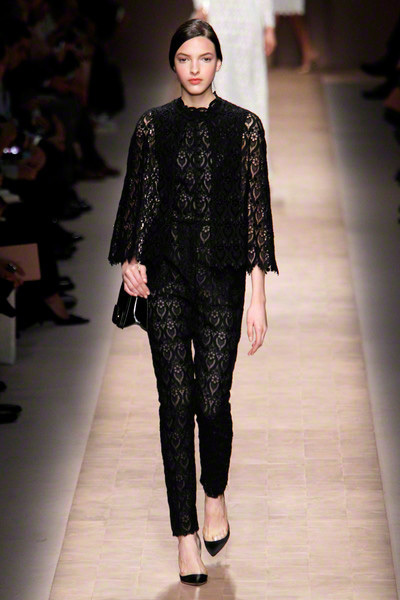 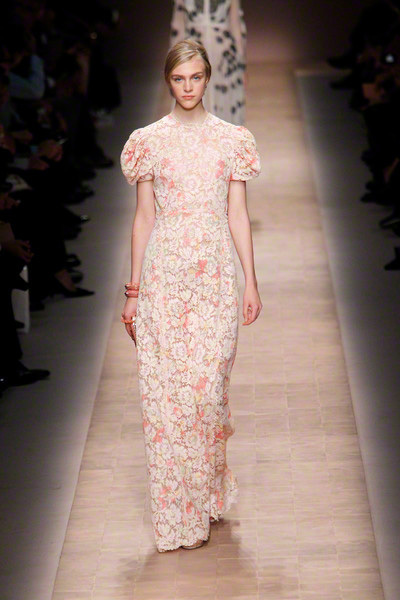 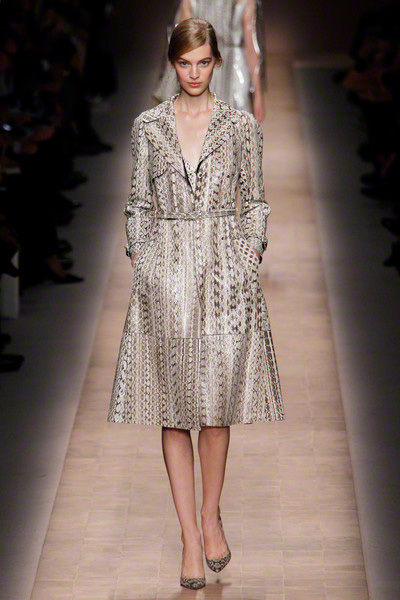 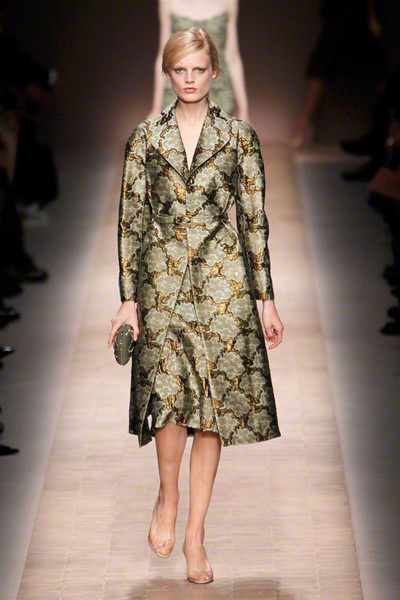 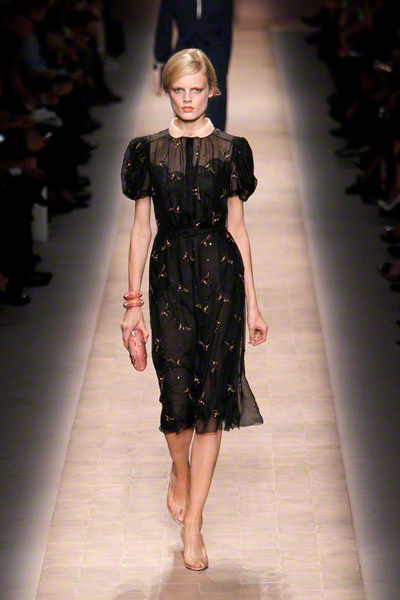 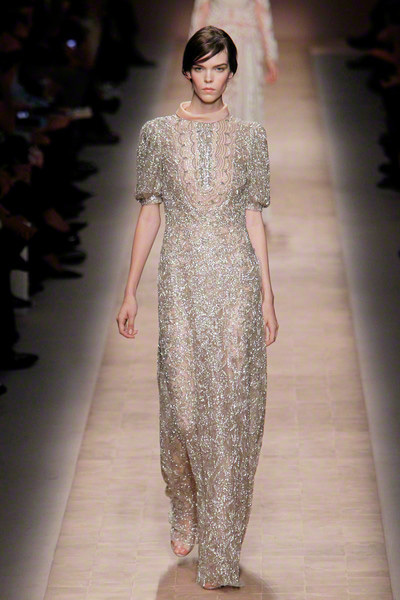 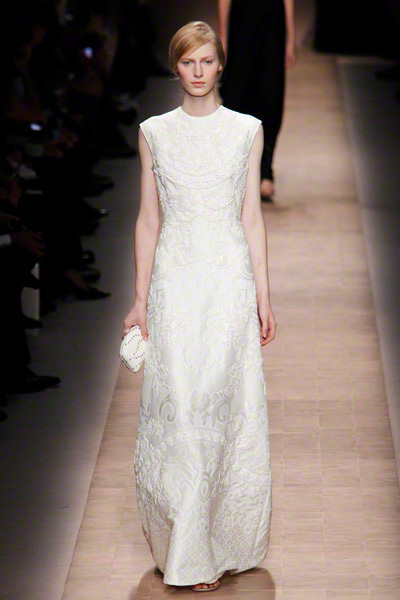 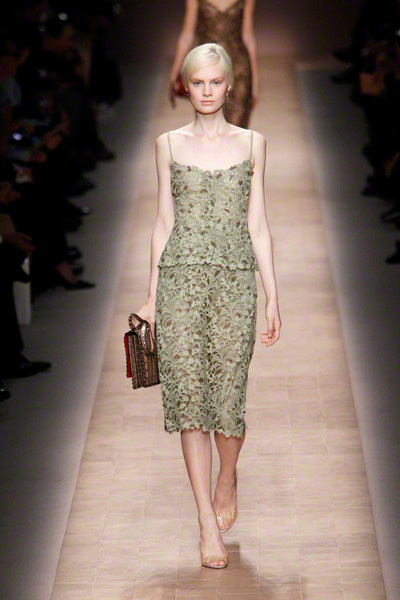 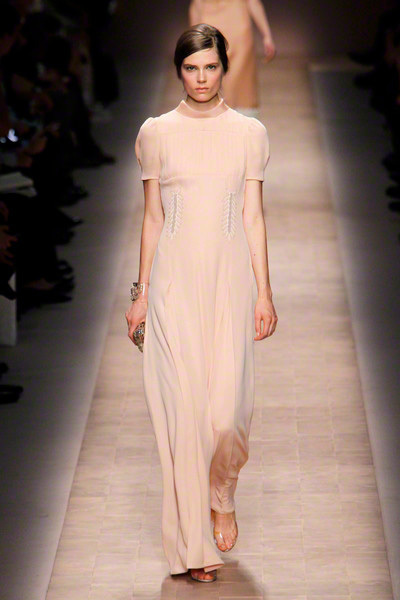 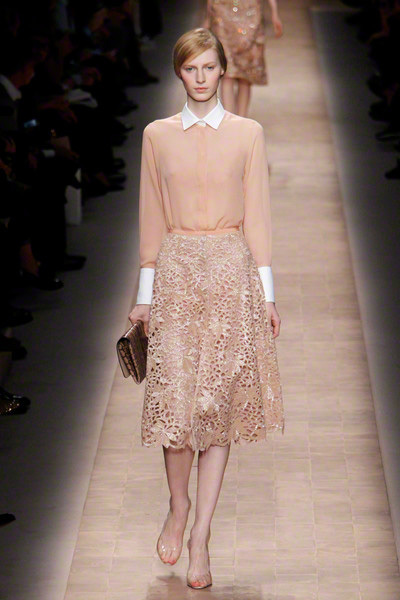 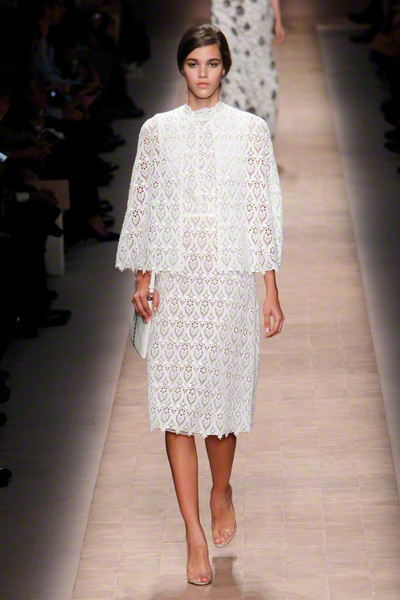 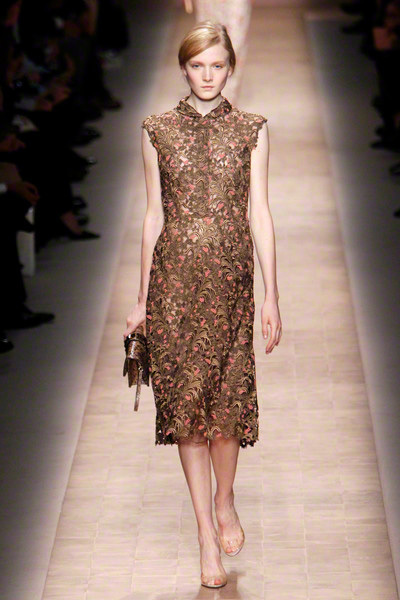 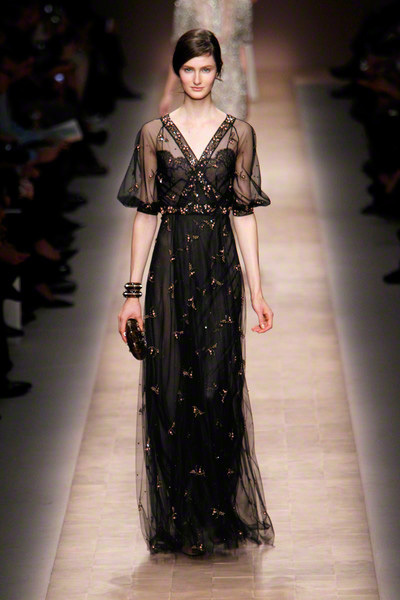 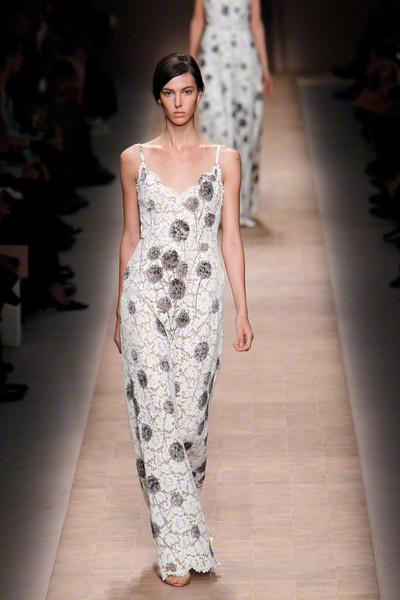 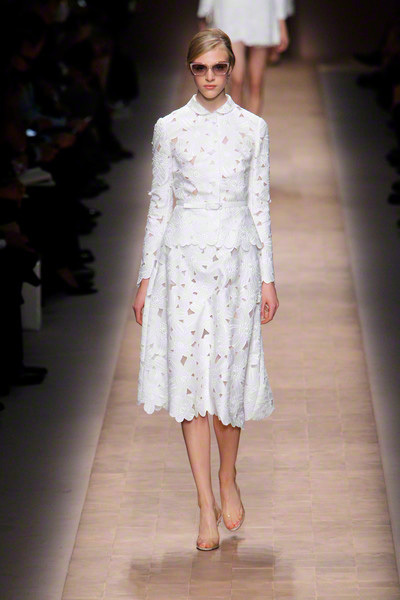 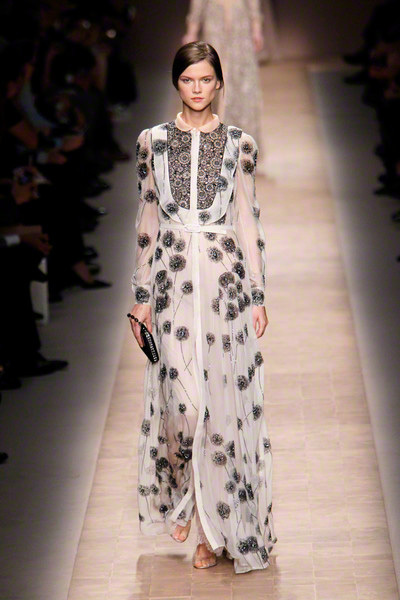 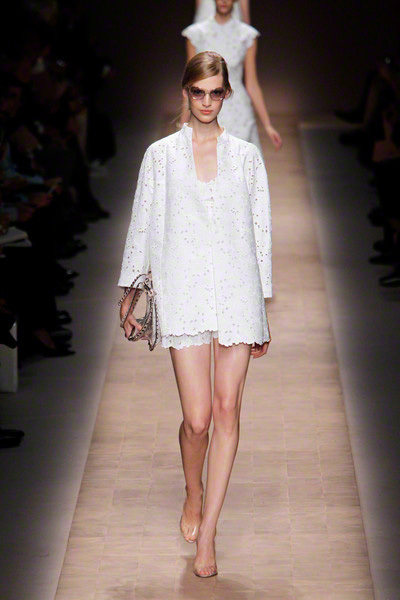 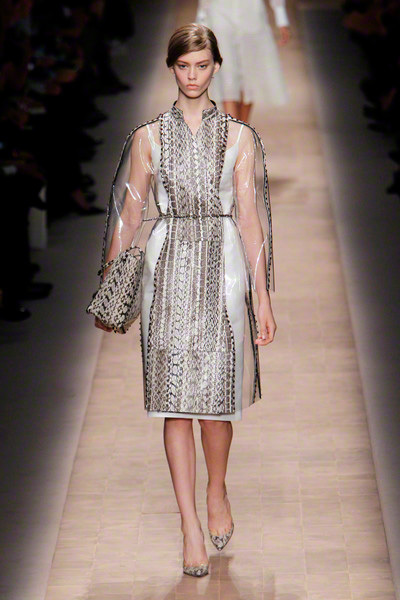 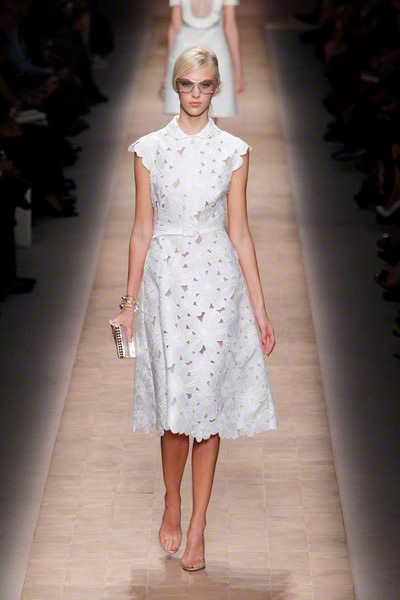 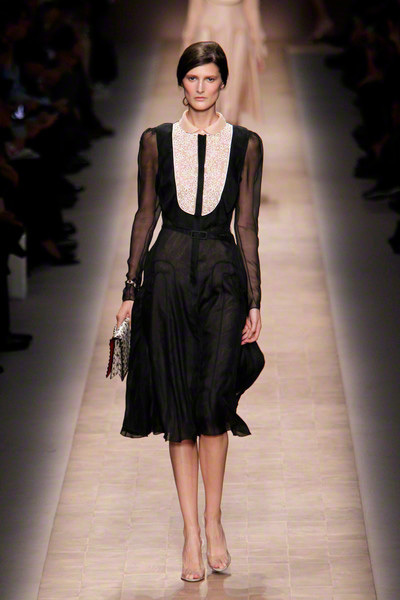 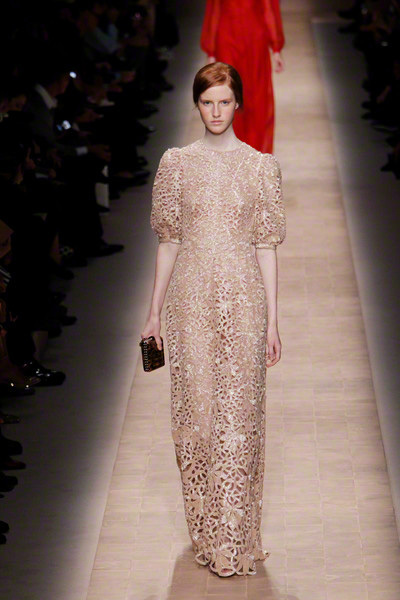 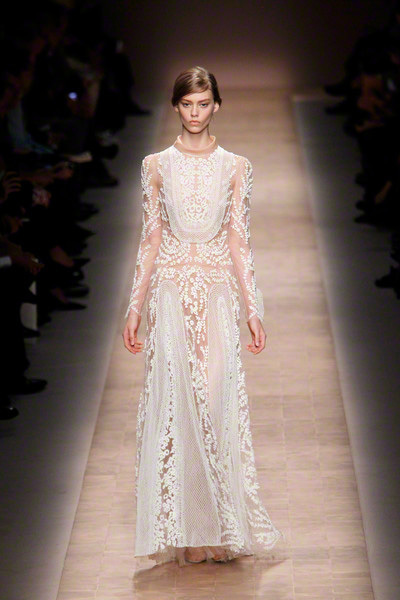 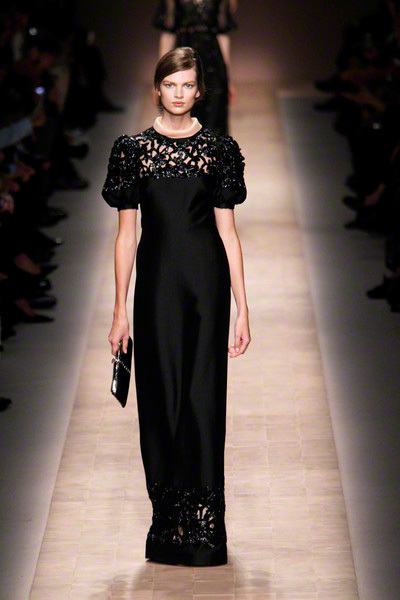 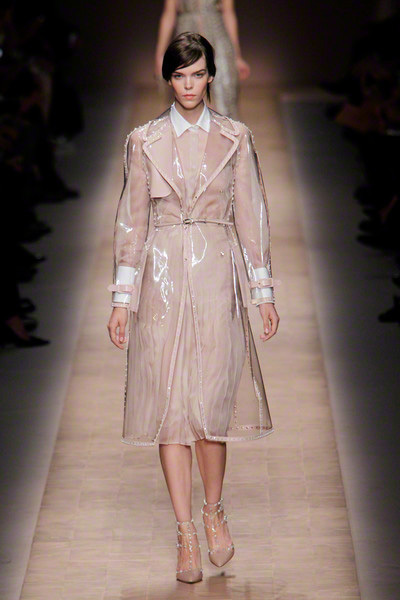 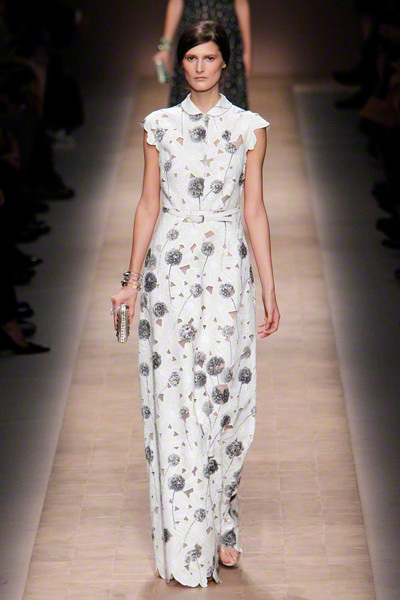 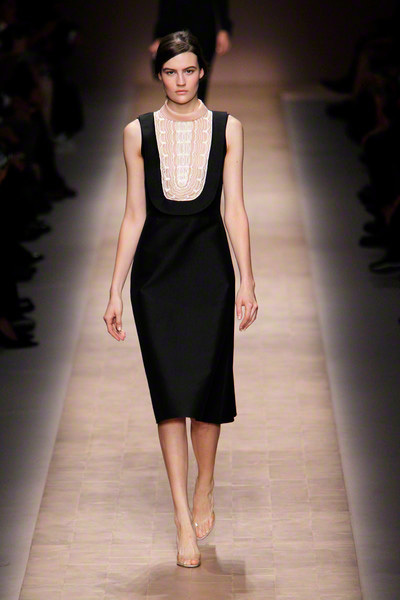 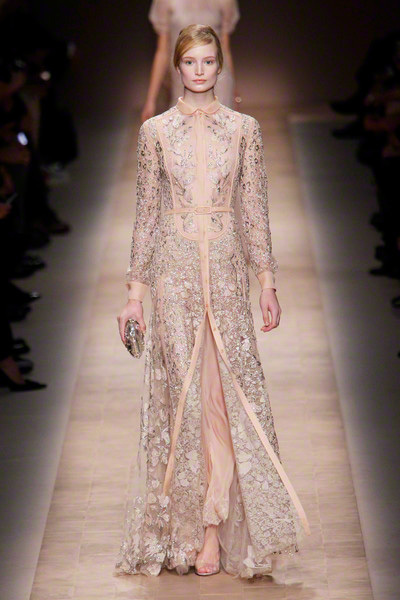 And beautiful the Valentino woman will be… She will rock the lace items with dandelion motif. 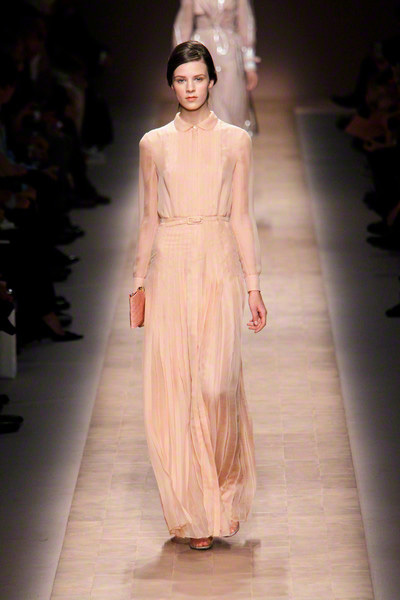 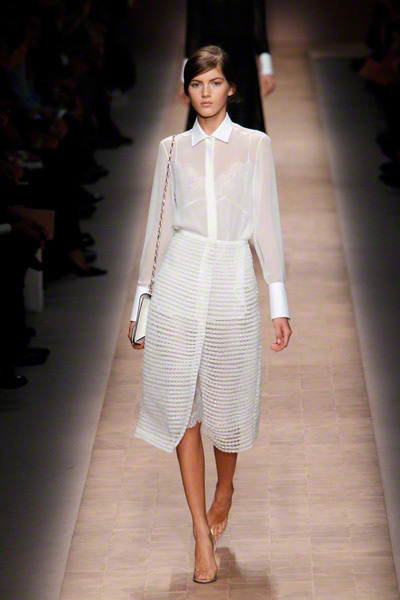 She will launch in one of the many romantic, floor length pieces. 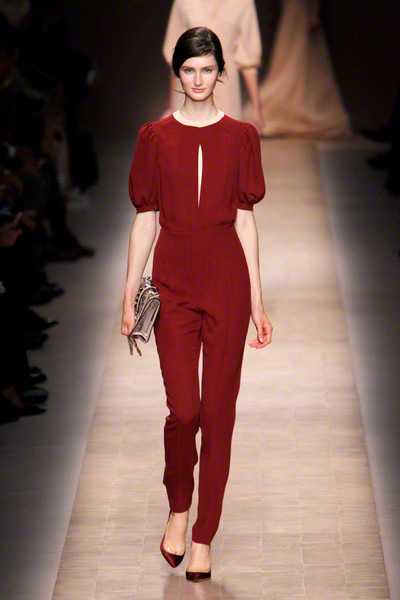 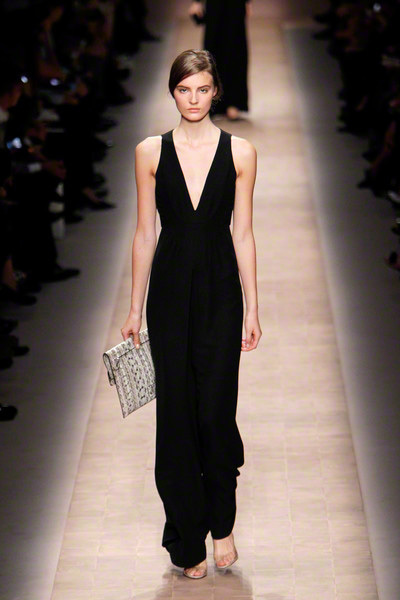 And she will head to work in her favorite jumpsuit. 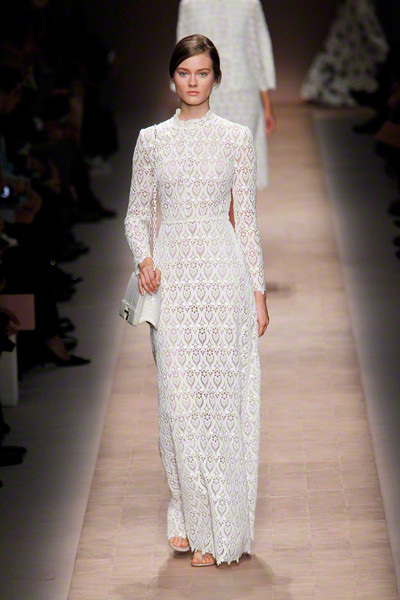 The embroidered lace, snake skin appliqués and beaded embroideries will make people stare. 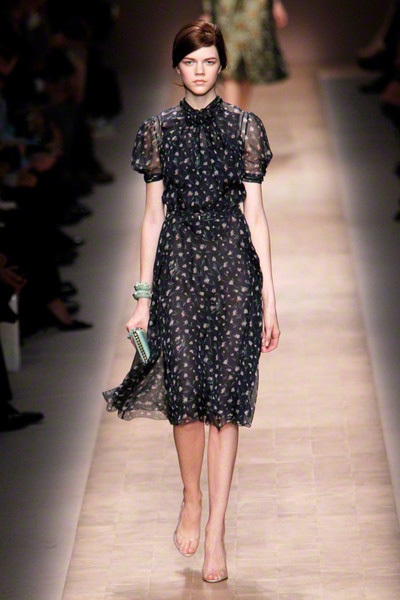 And she may not be sporty, seductive or tough; she will be gorgeous nevertheless.